For the longest time we have been made to believe that we need more protein in the human body to lose weight. Now the problem is when we start consuming more protein, a lot of that protein never gets utilized by the human body and it converts into fat and slows down your metabolism. This is why a lot of people who consume protein also bloat up and they have flatulence and acidity. So it’s extremely important for you to start cutting down your protein intake and if you want to increase your protein increase it from sources which are wholesome and natural. You can get quality protein from green leafy vegetables, broccoli, spinach, green peas, fruits, vegetables, nuts, seeds, almonds, walnuts, pumpkin seeds and whole grains. Now when you look at athletes and bodybuilders they do three things. They eat, sleep and they train. They take a lot of protein because they have to build a lot of muscle but then they take a lot of other supplements and the supporting nutrition to help break down that protein and their workouts are so intensive causing so much of muscle tear that the body requires more protein to repair it and that’s the difference between athletes and that’s the difference between us laymen. We can’t behave like athletes if we don’t train like athletes. If you think that the more you work out the more you burn fat, you are highly mistaken. Most people today assume a workout of six days out of seven with one rest day. It is designed to sell gym membership. Everyone is promoting a one hour work out because it’s easy to cycle trainers. The most powerful athletes and people with the best bodies don’t train for more than 30 minutes at one time because it produces cortisol which is a stress hormone which then starts storing fat in your abdominal region. You should look at doing high interval training, squats, burpees, pull-ups, push-ups and movements that are natural to the human body. This is where India has it all wrong. It is so rare to come across a person who’s sleeping seven to eight hours at night when they’re training so heavily. This is why most people who train well and don’t sleep well may develop arms and legs and a big chest but they still carry that potbelly or that midriff fat around them. 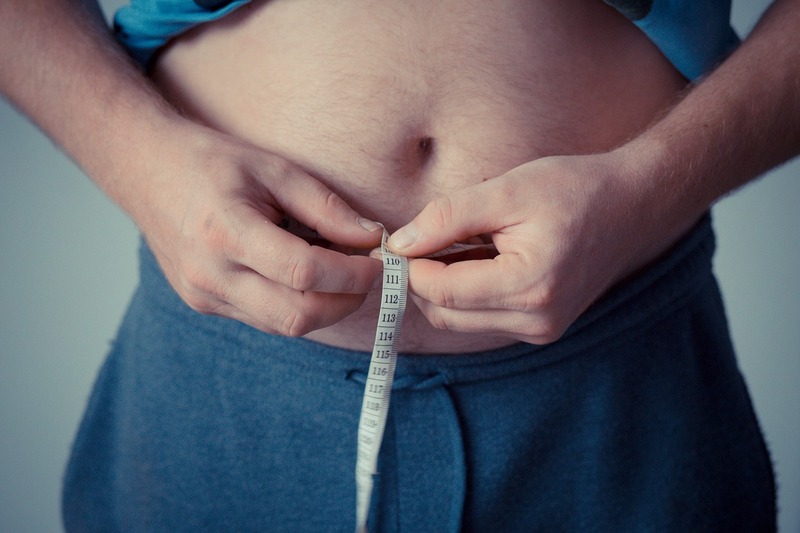 The more you sleep the more body fat you burn especially in the abdominal region. Fad diets help you lose the first two to three kilos and then after that you put it all back on or you just plateau. We need to understand that any fad diet that’s deficient in a macronutrient cripples your metabolism and metabolism is the most important thing when it comes to burning fat. That’s why when you carry lean mass and muscle your metabolic rate is always high. To maintain muscle tone it requires a lot of energy and that energy comes from your body burning fat constantly. If you have the right hormonal balance your body will allow you to lose weight. If you have the wrong communication between hormones it is impossible for you to lose weight easily. Our country has the highest count of pcod, diabetes and thyroid issues. These are all hormonal imbalance diseases. Men and women who have hormonal imbalances, exhaustive workouts and intense workouts is not your answer. You will lose more weight by just walking, by doing a little bit of yoga, maybe a little bit of Pilates and by slowly supporting your body to balance your hormones because it’s more rest and recovery that will help you balance your hormones. It’s very important for you to understand that you have to break away from the mind pattern of heavy workouts and strict nutrition. It’s got to be balanced in all forms of life. To lose weight there are four verticals that you need to look at which are balanced nutrition, adequate exercise, quality sleep and your emotional health. So true Luke, each and every point makes sense. I will try to actively keep all your six points in mind and visit this article once in a few weeks to keep it fresh in my mind till these become a part of my life. Thanks much!